Former pop star Aaron Carter files for bankruptcy claiming over $3 million is debt and less than $10,000 in assets. 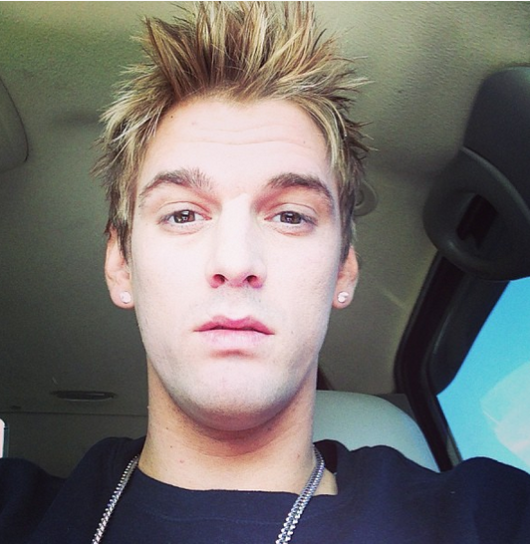 Aaron Carter may be trying to make a resurgence in the world of pop, but his bank account? Not along for the ride. According to TMZ, Aaron’s filed for bankruptcy, and he’s in debt for an almost inconceivable amount of money to most people. He’s got just over $8,000 to his name, but he owes out more than $3 million — $2,204,854 in liabilities, $1,368,140 to the IRS, and a hefty $31,166 credit card bill — yikes, Aaron! What did you buy? Here’s where it gets interesting: in order to file for bankruptcy, you have to list your assets, and Aaron’s are few for the amount of debt he’s incurred. Some of the things he included on the list? A flat screen TV, 2 MacBooks and their accessories, a guitar, a Louis Vuitton backpack, and a Brietling watch, to name a few. Oh, and his dog, which was listed at a total value of $0. Ouch — that was cold. Poor puppy! Meanwhile, Aaron’s living with a family member and bringing in under $2,000 a month, which is just under what he claims he needs for his monthly expenses. We’re assuming Aaron’s not hosting another party anytime soon. wasn't lohag and some other chick fighting over him back in the day? surprised he's not sucking peen for cash.